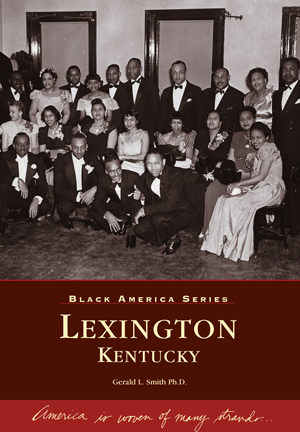 By Gerald L. Smith Ph.D.
Lexington's African-American community has survived and flourished despite obstacles that may have proven insurmountable to some. A citizenry enriched by diversity and filled with fortitude, they have made their mark on black history as well as the Bluegrass State's heritage. In Black America: Lexington, vintage images from archives and personal collections showcase the people, places, and events at the very heart and soul of the black community. Rare photos of the civil rights demonstrations in the downtown area highlight their contributions to the local movement and to our nation's continued search for equality. Dr. Gerald Smith, a Lexington native and associate professor of history at the University of Kentucky, has compiled an impressive collection sure to be treasured by present-day readers and future generations alike.